John Berger, Zygmunt Bauman, Tzvetan Todorov. These renowned authors who have made extraordinary contributions to culture and critical thought have left us this winter of 2017. With them, we are losing a generation that is central to European history, a group of thinkers who still had direct or indirect memory of the continent’s horrors. They were all united in their denunciation of totalitarian thought, their tenaciousness in trying to understand human complexity, and their resolute defence of democracy and diversity. Last week we received the sad news of the death, at the age of seventy-seven, of the Bulgarian historian and essayist, Tzvetan Todorov. A gentle, friendly man with an unhurried way of speaking, Todorov was a thinker in every sense of the word, one who shunned disciplinary confines and encouraged reflection without dogmatism. 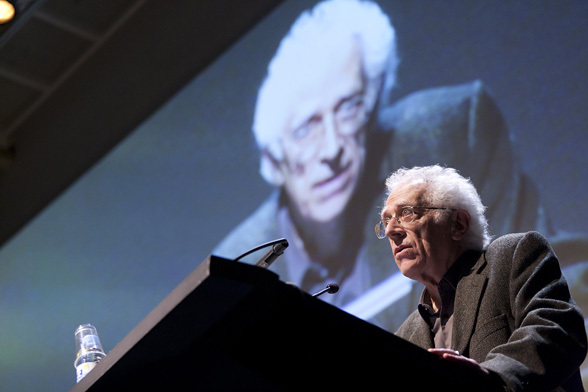 Todorov was one of the guest speakers at the Centre of Contemporary Culture of Barcelona (CCCB) from its early days and, during the years of forging this relationship, his influence was considerable. He gave four lectures at the CCCB, all of them highly topical today, and available in the BREUS collection. In his first lecture in 2004, he spoke of Europe’s frontiers, a subject of all-important relevance today which we tackle in this year’s Barcelona Debate. Even then, Todorov was calling on the European Union not to restrict itself to being an economic and administrative entity, and asking it to take on its “complement of soul” so that it could also become a cultural Europe. Aware that the continent does not have a single cultural essence and that diversity is its identity, Todorov upheld a European project based on shared political principles and a critical spirit as a mechanism of continuous self-questioning. At the Kosmopolis Festival in 2008, he spoke about terrorism, decrying the progressive legalisation of torture as a political instrument. At the height of the debate raging around the effects of America’s invasion of Iraq, Todorov recalled that torture has existed since antiquity but now, for the first time, it is no longer presented as a lamentable but excusable infraction. It is becoming the norm. His judgement left no room for doubt: “A state that legalises torture is no longer a democracy”. The last document Todorov left us is, without a doubt, one of the most moving of all and that which best shows his warm affability. In March 2011, when we opened the Teatre CCCB, we asked several people associated with the CCCB for their views about it. Todorov agreed to speak about the CCCB in an interview which was recorded in his home in Paris in the winter of 2011. We shall never forget the experience or his words.